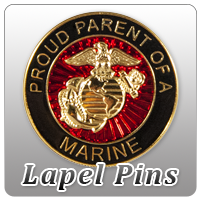 Gifts for your newly-minted Marine! Offically Approved and Licensed U.S. Marine Corps fine jewelry. Made in the USA by Veterans. This is a dropship item and will ship separate from the rest of your order. Please allow up to 30 days for processing. We bought this ring for our son for his boot camp graduation. HE LOVED IT!! I looked for 3 months for the perfect ring for him and I couldn't find ANYTHING that compared to this ring!! From quality to affordability, it is PERFECT!! Blew him away!! Thank you for the final perfect touch!